christine brewer | and sure stars shining . . .
Auggie was at the beauty salon. I was running errands. So I stopped for a Thai lunch it in the Loop, and walked by this on my way back to the car. This entry was posted in Great Artists and tagged christine brewer on November 8, 2015 by Jeffrey Carter. I had a busy week last week! 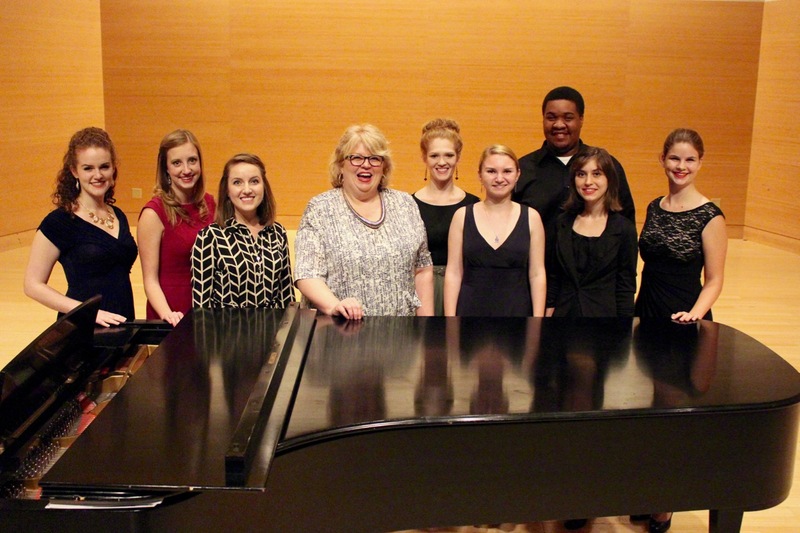 Christine Brewer taught a master class at Webster University on Tuesday evening. 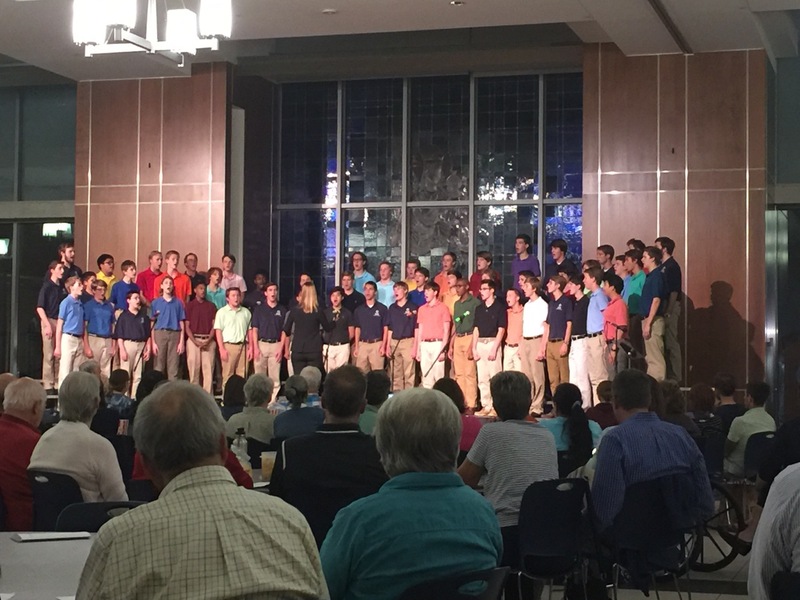 I attended on Thursday the first choral concert of the school year at Saint Louis University High School. 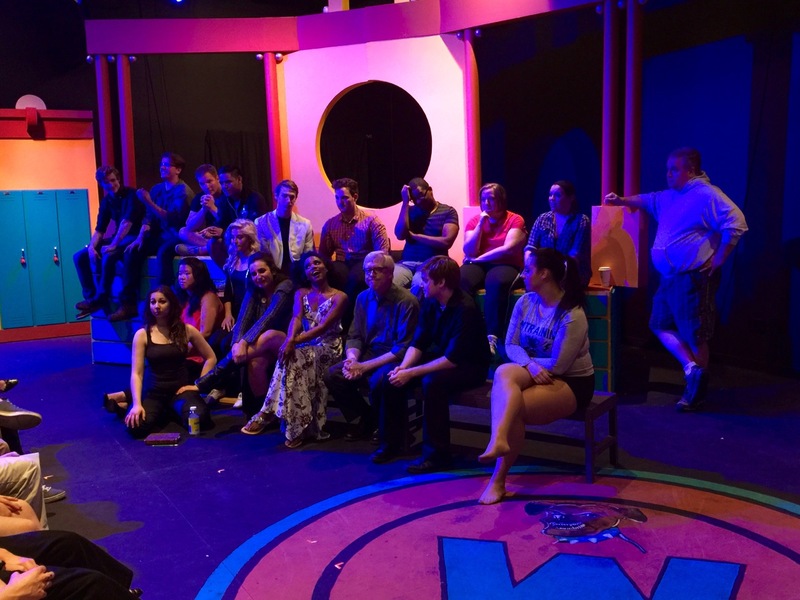 And later that evening I went to New Line Theatre for a talkback with a high school group, and caught a photo of the Heathers cast — sort of a family portrait. This entry was posted in Choral Music, Gigs, Musical Theatre, Webster and tagged christine brewer, Heathers, Saint Louis University High School, webster university, Webster University Department of Music on October 12, 2015 by Jeffrey Carter. Another day of rain. Alas. But I love travel, no matter, and so I shall persevere. My report on The Sound of Music will be written later today. Stay tuned. 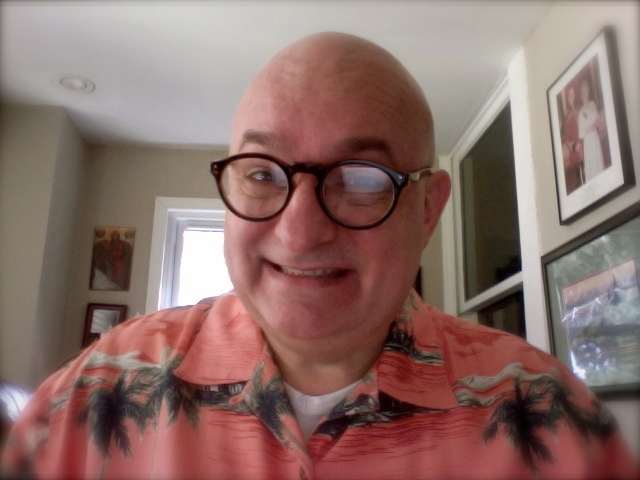 For now, I nurse my clearly-not-healed-yet leg and lay low for another few hours, then have lunch with an alum and a visit to the Art Institute! This entry was posted in Travel 2014 and tagged christine brewer on May 16, 2014 by Jeffrey Carter. Christine Brewer is singing a recital in NYC on Sunday as part of the George London recital series at the Morgan Library. How I wish I could be there to see and hear my friend on stage. She’s one of a kind . . . and a much-loved treasure. Ah well. 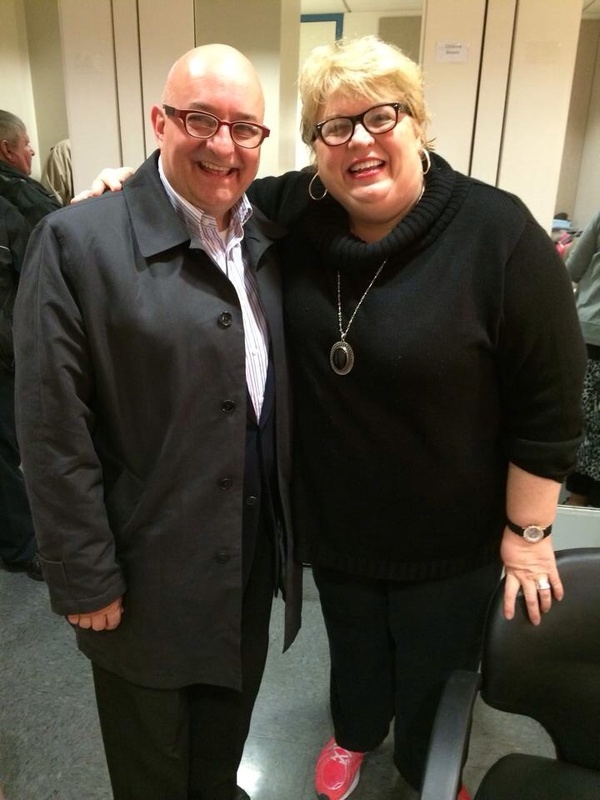 I shall see Christine soon enough in Chicago as she sings the Mother Abbess at the Lyric Opera in The Sound of Music. 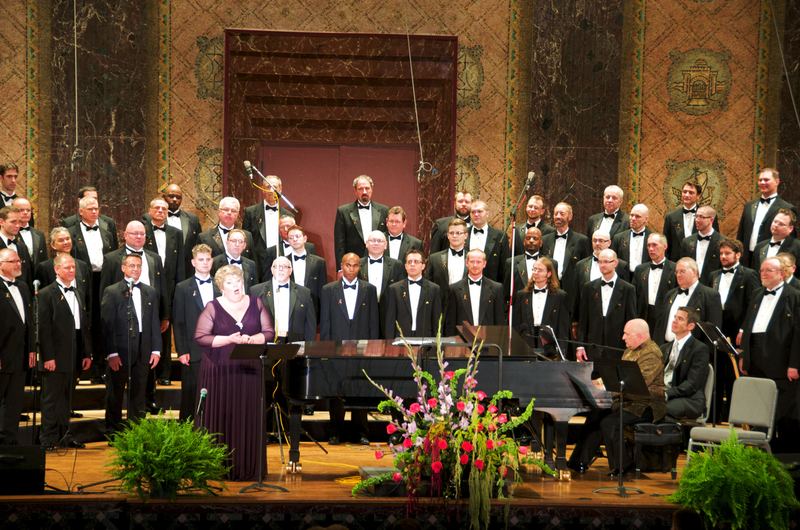 In this photo, I’m accompanying Christine as she joins the Gateway Men’s Chorus in my last concert with the group. This entry was posted in Great Artists and tagged christine brewer on April 5, 2014 by Jeffrey Carter. For being on ‘leave,’ I certainly seem to be busy! Please, HEAT, go away. Surely ’tis time for autumn. Samson has had a couple of days of upset tummy, but he’s now as frisky as usual. The new choral anthem is done. I can only spend about three hours a day putting it on the computer, so I expect Sunday will be the full completion of the final score. Pimping Jennifer Johnson Cano’s recital (Monday, 9/30, 7.30 p.m. at the Sheldon) certainly takes time and effort. Clean sheets are true blessing. I find myself lingering over Morning Prayer when I don’t have to go to the office each day. In the next ten days: six dinners to fix or attend. Theatre season is ramping up. In the next two weeks I’ll see Cabaret, Parade, and My Fair Lady. And speaking of fair ladies, I’m lunching with Christine Brewer today, and with Lindsey McKee next week! J-Dog is coming to spend the weekend. He’ll be singing at Saturday’s ‘Sing For Your Brunch,’ the menu of which includes baked French toast, two kinds of breakfast meat, fresh fruit, homemade blueberry syrup, juice and coffee. The West Wing is one of the finest television shows ever made. I watched the first four episodes of Season 2 last evening (the ones where we find out what brought them all together, told in flashbacks in the midst of the aftermath of the shooting) and I recalled again what gripping drama that was in 2000, and how I hated that wait for the next week. Apple cake is delicious. I made some yesterday. Picking new paint colors is an arduous chore. I picked up two new voice students in the last few days! The yard needs mowing. Thanks be to God for the rain overnight. Now, Notre-Père, pouvons-nous avoir plus? This entry was posted in Choral Music, Daily Life, Episcopal Church, Musical Theatre, Shows, Webster and tagged blueberry syrup, Cabaret, christine brewer, clean sheets, Jason Robert Brown, my fair lady, new choral music, paint colors on September 12, 2013 by Jeffrey Carter. Patricia Neway has died. May she rest in peace. I teach several songs that have her name as the dedicatee. She was an American treasure. This entry was posted in Daily Life and tagged american treasure, christine brewer, menotti, neway on February 5, 2012 by Jeffrey Carter.